Rough-scaled sand boa is a small sized boa species. Dorsally, the color pattern consists of a broad zigzag band or a series of dark brown blotches on a yellowish or brownish grey ground color. The belly is uniform white. The head is covered with small scales. The eye is small with a vertical pupil. The dorsal scales are small and keeled. The tail is pointed, not or but very slightly prehensile. Eryx conicus can be kept in aquariums or tubs. Babies are best started in small enclosures of 0.4 x 0.2 x 0.2 meters (1.3 x 0.65 x 0.65 feet), adult males can be kept in an enclosure of 0.35 x 0.2 x 0.15 meters (1.2 x 0.65 x 0.5 feet) and adult females do best in a 0.6 x 0.4 x 0.15 meters (2 x 1.3 x 0.5 feet). It’s recommended that the back and sides be covered to help them feel more secure. Hide spots and a substrate they can burrow in should always be used. A hide box on the warm end and on the cool end should always be provided. That way the sand boa isn’t forced to choose between proper temps and feeling secure. They should be big enough to allow the snake to fully cover itself but small enough for the snake to feel it on all sides. Eryx conicus tend to like a heavier substrate. sandblasting sand, crushed walnut and sani-chip are all acceptable. Shredded aspen and coco chip can also be used, It’s best to keep it at a depth that will cover approximately 1/4 inch above their back if fully buried. Overhead lighting is not necessary for sand boas. Heat tape or heat pad at one end of the enclosure and plugged into a thermostat is sufficient. Hot spot temp should be 32-35 °C (90-95 °F) and cool side 24-26 °C (75-80 °F) to allow for proper temperature regulation. Eryx conicus should be kept at a 40-60% humidity. Slightly misting the walls of the enclosure on the warm side will help ensure proper bedding. Rodents of appropriate size should be offered to your Eryx conicus in it’s enclosure. 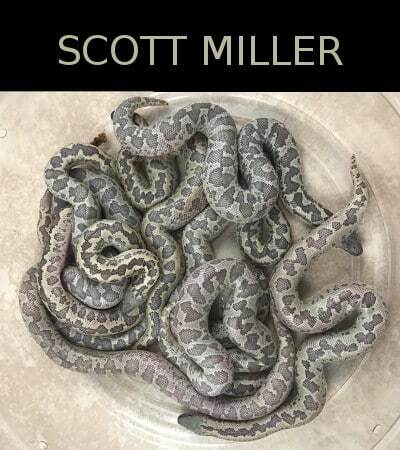 Moving to feed is stressful for the snake and should be avoided if at all possible. Babies usually start feeding on slightly larger prey such as peach fuzzies. Food can be offered every 5 to 7 days for the first year. Sub adults and adults can be fed every 7 to 14 days. Prey items should be big enough to leave a slight lump when ingested. It’s recommended to wait 24 to 48 hours after feeding before you handle your sand boa. Gently scoop them up from underneath and support the entire body. Never approach them from the front or grab them from above this could cause them to bite defensively. Allow them to crawl freely while being handled. Spot cleaning should be done weekly and full substrate changes done every couple months. At that time the enclosure should also be wiped down with a safe disinfectant. 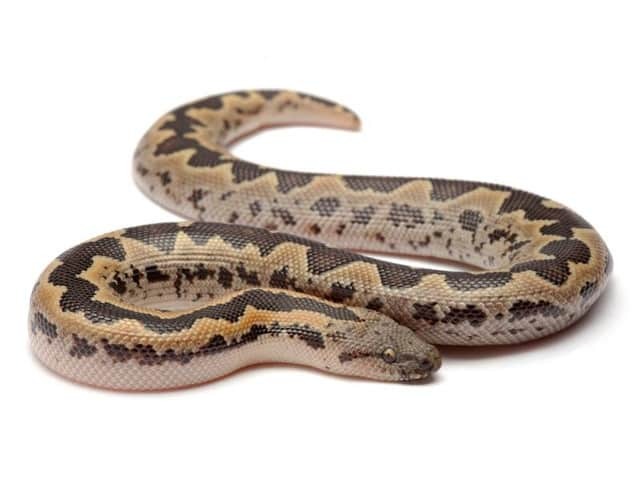 Avoid handling or offering food when your sand boa is in shed. They are vulnerable and stressed while opaque. proper humidity will ensure successful shedding. misting the enclosure walls on the warm end or a container with damp sphagnum moss with an access hole and placed partially over the heat source will suffice. Never soak a sanboa in free standing water no matter how shallow it will stress them further. Eryx conicus are very hardy and prone to very few health issues RI can be avoided with proper husbandry. Proper hydration of females during pregnancy can help avoid retention issues. Mites can be avoided with proper quarantine and preventative steps.